Maybe one of the easiest hats EVER! No need to learn how to work in a round and this method produces a very stretchy fabric for lots of growing room. All you need to know is how to half-double crochet and how to work into the back loop only. 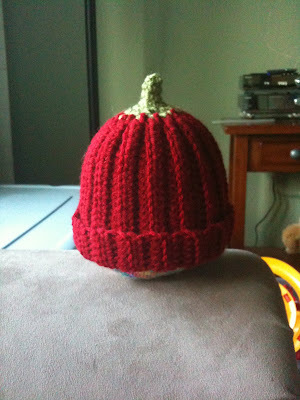 This is an infant sized hat but any size can be made very easily. You start by making a rectangle, this was 7 inches by 12 inches (unstretched, it was 14+ inches stretched). Working back and forth in the back loops creates the ridges letting it expand quite a bit. I decided to omit embellishing it with strawberry seeds and leaves. You can also make many other fruits or just go for a striped look with a solid "cap". 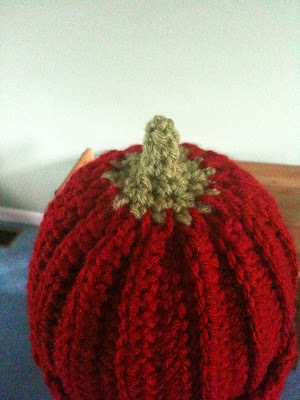 The green stem is made by adding green to one of the ridges and single crocheting on each of the ridges (skipping the valleys) which cinches it together a bit. From there start working in the round while decreasing (sc2tog, sc) until you have 5-6 stitches then single crochet evenly around until desired stem height is reached. 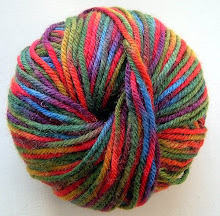 Here is a link to the pattern in case I forgot any directions. 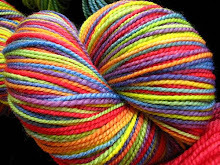 I used Vanna yarn with an I-hook, started with an hdc-foundation (youtube has good instructional videos of this and it is my preferred way of starting projects) chain of 26, and hdc in back loops for 31 more rows. This hook size produced a pretty tight fabric, I will try a J-hook next....maybe a blueberry! OK, OK, so it's a tomato! Strawberry sounds cuter!